The American Society of Composers, Authors and Publishers (ASCAP) presented this year’s edition of the popular series “Latin Acoustic Sounds of ASCAP” in Miami, Florida as part of the Billboard Latin Music Conference. The Acoustic series, hosted by ASCAP’s Latin Membership department, were created to offer ASCAP songwriters a platform to present their songs in acoustic format. 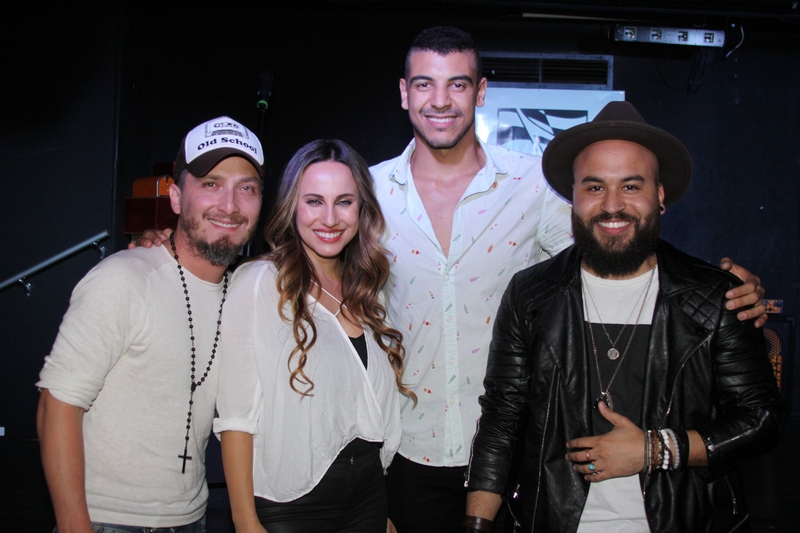 The event took place at the Yuca Lounge in Miami Beach and was part of the Billboard Latin Music Conference activities. This year’s participants included: Obie Bermudez, Manuel Medrano, Panacea Project and Angelica Rahe. 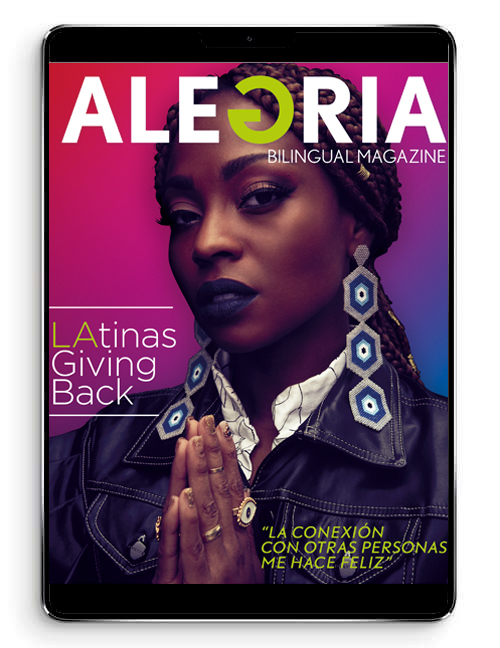 Combining soulful, soaring vocals with American pop and soul, the double-platinum songwriter Angélica Rahe truly embodies what it means to be a “world artist.” Having grown up traveling the world, from a young age she understood how powerful music could be in unifying people from all walks of life. Angélica spent her childhood in Japan and her native Spain, so it’s no surprise that this experience has influenced her sound. At age five she was playing flamenco with gypsies in the alleyways of Andalucía; by 14 she was writing her own songs; soon after she began to teach herself to play guitar, using Joan Manuel Serrat, Tom Jobim, and Lightnin’ Hopkins’ records as inspiration. Angélica has now shifted focus to her very own debut, showcasing her soul and flamenco roots in a pop-driven, “Spanglish” representation of the “hybrid-child” experience, inspired by her bicultural background and extensive travels. Look out for her new single, “Pa’lante,” premiering April 2016. Panacea Project is a musical duo based in New York City, formed by the Dominican singer Luis Castro and producer / musician Colombian Carlos Bermon, and known for its strong acoustic roots and melodic sound. The group was born in 2011 when Luis and Carlos decided to re-connect and collaborate after independently trying to break into the music scene in Neva York. Their musical chemistry was instant. To share their music and ideas with the world, the duo shot videos of their own music and favorite songs by other artists and posted them on YouTube. Some of the first videos were acoustic versions of songs such as “Mi Santa” by Romeo Santos, “Lluvia Al Corazón” by Mana and “Fuistes Tú” by Ricardo Arjona, among many others.. They are now working on their own album with original songs that soon will be released. This cartagenero composer, singer and guitarist settled early in Bogota, becoming a music sensation in that country. Manuel Medrano not only writes songs; his harmonies and poems have created hymns and compositions that will last for generations. Medrano has become a phenomenon of social networking and music charts, with videos that have accumulated millions of views on the most important digital platforms. His current single “Outside the Planet” has more than 18 million views and the video for his second single, “Under Water,” has surpassed 12 million views. Medrano is now touring to support his first self-titled album and is considered one of the most promising artists in the world music scene. Obie Bermudez’s compositions capture the heart of anyone who listens with descriptions of love and all of its nuances. His first break came when he was hired as an opening act for U.S. concerts with leading Latin music stars such as: Juanes, Paulina Rubio and Juan Luis Guerra. In 2004, he released his second album “Confesiones” on EMI US Latin. The pop album with traces of tropical rhythms garnered him a gold record and included popular songs such as “Antes” and “4:30 am.” The following year Bermudez repeated his success with Todo el Año, with radio hits like “Celos”, “Como decirte” and “Todo el año.” The album received a Latin Grammy for Best Male Pop Album. In late 2014, Bermudez joined other artists including Michael Stuart, John Secada and Jennifer Peña for UNITY: THE LATIN TRIBUTE TO MICHAEL JACKSON. The tribute rose to # 1 on iTunes and Amazon. After nine years away from the recording studio, Obie released his new album “Cambios” in 2016, produced by Sebastian Krys and executive produced by Hugo Johnson for Kee Records Inc. The American Society of Composers, Authors and Publishers (ASCAP) is a professional membership organization of songwriters, composers and music publishers of every kind of music. ASCAP’s mission is to license and promote the music of its members and foreign affiliates, obtain fair compensation for the public performance of their works and to distribute the royalties that it collects based upon those performances. ASCAP members write the world’s best-loved music and ASCAP has pioneered the efficient licensing of that music to hundreds of thousands of enterprises who use it to add value to their business – from bars, restaurants and retail, to radio, TV and cable, to Internet, mobile services and more. The ASCAP license offers an efficient solution for businesses to legally perform ASCAP music while respecting the right of songwriters and composers to be paid fairly. With 560,000 members representing more than 10.5 million copyrighted works, ASCAP is the worldwide leader in performance royalties, service and advocacy for songwriters and composers, and the only American performing rights organization (PRO) owned and governed by its writer and publisher members. Learn more and stay in touch at www.ascap.com, on Twitter @ASCAP and on Facebook.